The Gigaset L410 brings telephoning at home to a new level of flexibility. With this hands-free clip, you can easily talk and do other things: walk through the garden, work at your desk, cook in the kitchen, relax on the couch – the options are endless. Just clip the wearable speakerphone to your shirt collar to savour hands-free talking in perfect sound quality. Designed for intuitive handling, you can transfer calls to the Gigaset L410 from your DECT-GAP handset with one button click1 or take calls directly on the clip. In addition, the Gigaset L410’s ECO DECT features2 make it an environmentally friendly Smart Extra, saving energy and reducing radiation3. Enhance your home telephony with more flexibility. 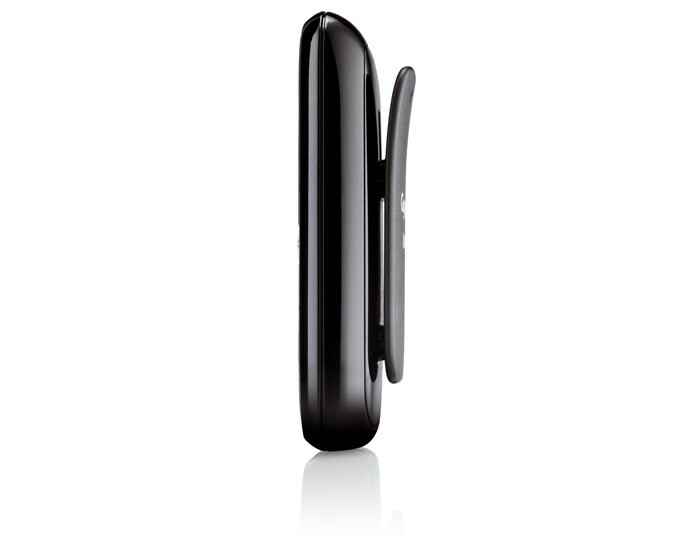 Discover the Gigaset L410 Hands-free Clip. With the Gigaset L410 you never get a stiff neck or an achy ear while talking hands-free. Multitasking while phoning becomes easier than ever. Simply clip the Gigaset L410 to the neckline of your top and begin your favourite home activities while enjoying calls in perfect sound quality. Unlike a headset that rests on your ear or head, the Gigaset L410 is a wearable speakerphone. You forget you’re even wearing it while you freely move and chat. 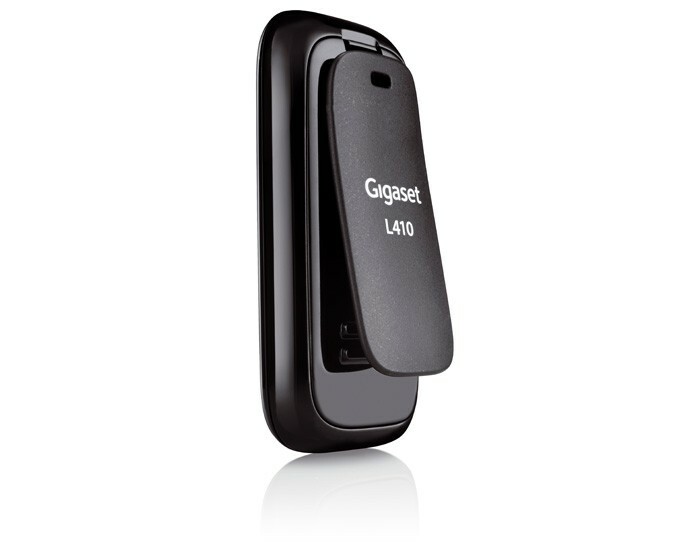 The Gigaset L410 gives you calling freedom in a straightforward, uncomplicated way. Quick plug & play setup ensures easy installation: simply register it to your DECT-GAP phone. 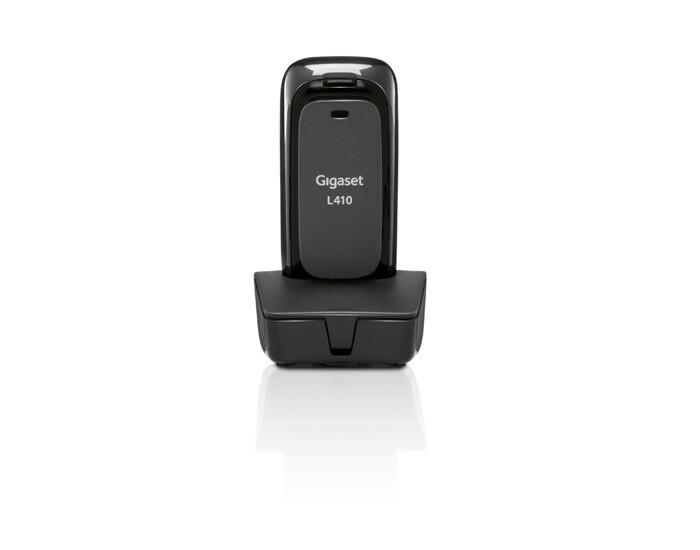 The Gigaset L410 is compatible with all DECT-GAP cordless and corded phones. 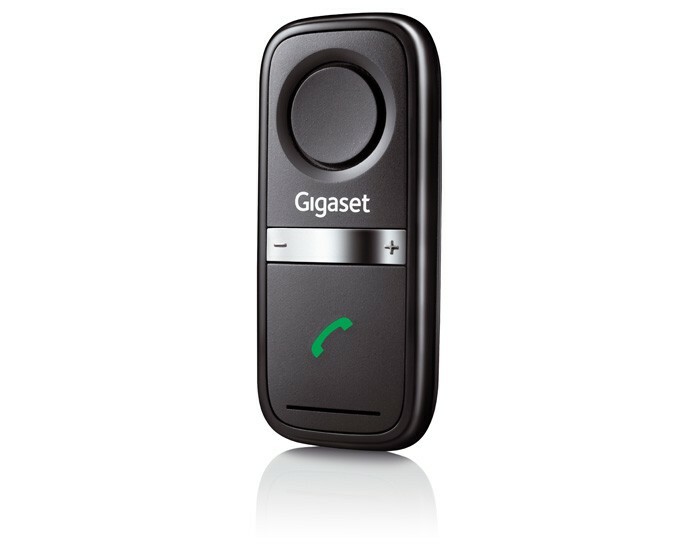 If you answer the phone on your handset and wish to transfer the call to the Gigaset L410, you can do so with just one click1. 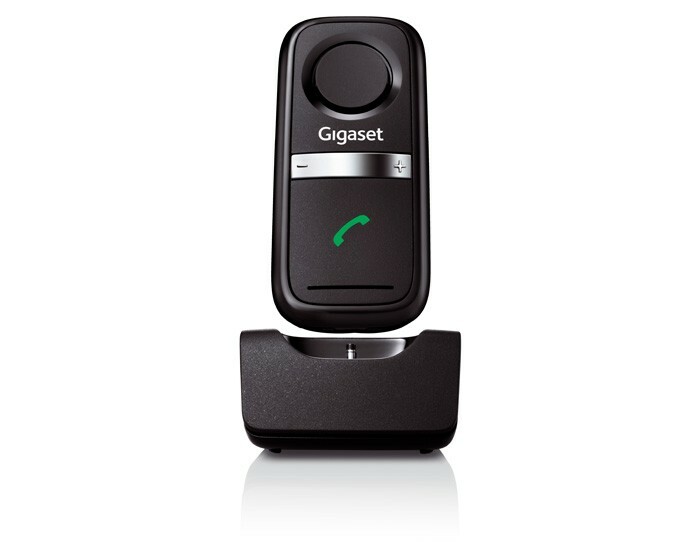 Switch between your Gigaset L410 and handset as often as you like at the touch of a single button. You can also pick up and end calls directly on the Gigaset L410. Moving while you talk with the Gigaset L410 is a pure pleasure. At only ~30 grams, this hands-free clip is extremely lightweight. You won’t even feel it on your clothes as you enjoy multitasking activities. Your range of movement is extensive, thanks to the 50 metre indoor and 300 metre outdoor ranges of the Gigaset L410. And with a fully charged hands-free clip you can talk for up to 5 hours or be on standby for as many as 120 hours. Designed with an intuitive volume rocker, you can easily adjust the volume level of calls while you talk on the Gigaset L410. Perfect sound quality ensures that you won’t miss a word of what your calling partner says. LED status signals let you know when calls are coming in, when to charge the battery, and more. With its switched mode power supply, the Gigaset L410 uses a considerably lower current than with a conventional linear power supply in charging mode5 – so it’s kinder to the environment and kinder to your wallet. The Gigaset L410 variably reduces the transmitting power between itself and the base station, depending on their distance apart. With the ECO Mode setting, the base station and the Gigaset L410 hands-free clip reduce the transmitting power by 80%6. Furthermore, the base station’s radiation-free4 ECO Mode Plus turns off the transmitting power when the hands-free clip and phone are in standby. Start talking with more freedom than ever with the Gigaset L410 wearable speakerphone.